On Friday morning in the milkshed I heard a thought-provoking EarthSky episode. (They’re all thought-provoking. This one just happened to hit home because it discussed one of my main interests: namely, growing one’s own food, and the effort and land that it takes to do so.) Mostly, it was a discussion of simplifying the measurements so we can understand, universally, how much land can feed how many people as efficiently as possible. By 2050, our planet might need to feed 9 billion people. How do we improve Earth’s food systems – the way food is grown, harvested, transported, and distributed – to meet that challenge? The first step is to observe and measure the way we farm now…. Sean Smukler: To improve the system we have right now, we need to know what works where, and why. Sean Smukler is an agricultural ecologist at Columbia University and a co-author of the July 2010 article published in the journal Nature. He said creating a common system of measurements – for example, how many calories a farming region can provide per person, or how much energy is expended per unit of food – will help move the world toward farming methods that can feed 9 billion people…. Nine billion. The mind reels. I *know,* incidentally, that with current effort and garden space I can marginally feed nine people. My garden and greenhouses currently make a huge dent in the caloric needs for us three…the other six or so are using my goods as supplemental fare to their own diets. And this is with me not putting much effort into growing pure calories, pure carbohydrates. Let’s face it: I spend a considerable amount of time fussing with my salad stuff! Nary a calorie there. Fancy-pants salads: Tell me they’d feed the starving. They won’t. But if you’re worried about the lights going out and your needing to feed your own, can I make a pitch to you? Consider the humble potato. I may not blog about them much, but…I grow more potatoes than I do any other vegetable. They are surprisingly easy to grow, are tolerated by almost all people, store well for months and their yields will always be at a bare minimum twice what you stick in the ground! In point of fact their yields can be crazy. Really. Truly. And you don’t need to spend a minor fortune to get started. IF you can find organic potatoes, chances are they’re not sprayed with anti-sprouting nastiness, so…plant what you can find at the grocery store. Or go to your local feed store: they might not have more of a choice than a red, a russet, and the rare Yukon Gold, and they won’t be organic, but…they’ll be cheap, and they’ll grow for you. You don’t, in other words, need to spend $12/pound for seed potatoes from some seed supplier far, far away. Not everyone can grow potatoes of course: they hate the hot summers of the southern U.S. Sweet potatoes, however, LOVE hot summers. I have grown them successfully here too for years, me who hangs out on the 42nd parallel, here where it got above 90 exactly 3 days in 2010. And like regular potatoes, you’ll have them forever, but growing slips is a bit harder than sticking a sprouty spud in the ground. Winter squash is also a safe bet for you if you’re looking for carbohydrates that, like potatoes, store well. I have crazy luck with winter squash, but it’s not due to me, it’s usually due to my compost pile: it’s from here I tend to harvest a good portion of my seedlings!! Squash in general are nutrient pigs. 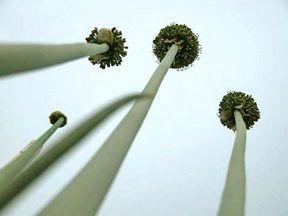 If you can plant them IN compost, they’re more than happy. Consider well the signs of bugs but other than that, they’re fairly hardy and prolific if you have the space for them. And then there’s beets. Not everyone loves them, but as far as sugar goes…we do make sugar out of certain varieties of them. Look to their sibling chard for an easily grown shot of greenery, too. Carrots are another high-calorie root crop. I succession plant them four times a year so that I always have them; I plant the larger storage varieties to harvest in my greenhouses in the winter. Tomatoes. You’re all growing tomatoes, right? Canning them is a safe bet for long-term storage. You can also dehydrate them, especially the small varieties. So yeah. Throw in dried corn, beans, and a variety of green leafies, and you’ve got a fairly well-rounded diet out in the garden. Add a fruit tree or three, and bingo! lots of carbohydrates, home-grown! On my first trip to France I went into a tourist office in a small town in the Loire valley to get a restaurant recommendation. The young guy working there, relocated graphic artist from Paris, three-day beard, smoking a Gauloise, expert at the shrug and the moue, said he didn’t really know, he didn’t care about food, and was a vegetarian. His eating philosophy, which I will never forget: “One can dine very well on potatoes…”. Can’t argue with that. The calorie quotient topic is a really interesting way to think about our burgeoning population. More than once, driving around rural Wisconsin, where there remain vast open spaces, I ask myself, Wouldn’t we be better off if we all just spread out a little, planted a serious garden, revived rural communities? The concentrated urban populations that came with industrialization don’t really seem to be needed anymore. Thanks for a good reminder as we all think about what to plant this year. Even if fancy salad greens won’t be enough carbs for you to survive on, they are certainly a good addition once you have the basics already covered. All across the country there are more and more people looking to their garden for food to sustain them, not just as a hobby. Interesting you should post this; I was just reminding myself of a fact that I’ve read in several places: potatoes provide the most calories per acre than any other crop. I’m growing potatoes for the first time this year, but I have clay soil, so they’re going into grow bags. Anyone interested in growing against the ‘lights out’ scenario would be well advised to read The Resilient Gardener: Food Production and Self-Reliance In Uncertain Times, by Carol Deppe. She describes growing five staple crops for survival (potatoes, corn, beans, squash, and eggs) and gives methods for getting harvests in less than optimal conditions. And not all winter squashes are created the same; it was there that I learned that I can’t keep Cucurbita pepitas which is what the little Sugar pie pumpkins were that I planted last year, because they don’t keep (they won’t go bad, necessarily, but they tasted awful in January), and that I should have planted Cucurbita maximas, like Sweet Meat, because they do keep and actually get better tasting with age. It’s a good read. I learned a lot there. I’m not touching what spurred this post with a ten foot pole — my thoughts and solutions are much less politically correct than everyone else’s, at least it would seem 😉 — but I will say I whole heartedly agree on the rest of it. Lots of potatoes and lots of winter squash; good, hardy, growable, storable sustenance. And delicious, too! You do sound like you are channeling Carol Deppe. I’m just getting into her gardening book “The Resilient Gardener.” I’ve heard tell that it’s sort of an advanced vegetable gardening book, compared to most gardening book. I find it slow going, there is an awful lot of compactly stated information. 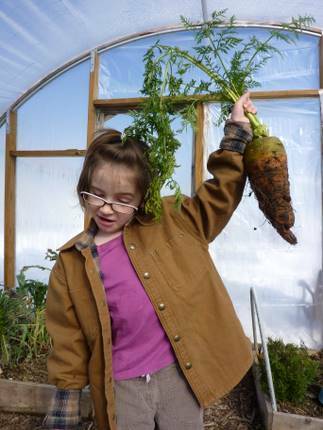 But her thrust is the same as yours: focus on potatoes, winter squash, carrots, beets, corn, dry beans. Most of which we have drifted toward in the past couple of years. So I’m feeling reassured. We grew 3 varieties of dry beans last year, as an experiment, and harvested about 10 pounds worth. This year I’m growing a lot more and hope to harvest 25-40 pounds of beans. Of course now I’ve got to learn what to do with them. So far baked beans and chili. Just bought some ham hocks (most of the recipes I’ve seen so far say “ham hocks”) so that’s the next learning step. Oh well, this gardening/cooking thing gets more and more interesting, and I just bought today some high-quality fry pans. I tried growing potatoes for the first time 2 years ago…and then got a suprise last spring, when some potato vines showed up in the bed (and I hadn’t planted any the previous fall). Apparently I was not too thorough in my potato harvesting technique. Who knew that potatoes could overwinter in zone 6? Not me, for sure…the 2nd harvest wasn’t as robust as the original, but hey, 10 pounds of free potatoes is still 10 pounds of free potatoes. do need to get on the beet bandwagon… and yep, it’s sweet potatoes here, not potatoes. Not only can I not keep an astonishing number of bugs from them, they don’t like our summers (as you say) and they need a cool frost free place for storage. Sweets keep at room temperature! 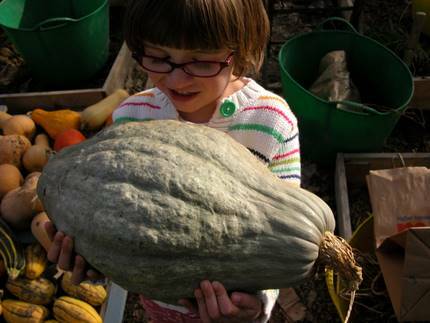 With my refreshed and growing poop supply I hope to have a better shot this year with my winter squash and the potatoes are already ordered, (back to planting what folks here will ACTUALLY eat)…I often think about the sheer calorie and carb of it all..Once again I thank you El, great post! >By 2050, our planet might need to feed 9 billion people. How do we improve Earth’s food systems – the way food is grown, harvested, transported, and distributed – to meet that challenge? Not to hijack this excellent post but … things like that just make my head spin. If one were to ask on any serious farm conference – I have 10 acres, I need to feed 1000 people, how do I do it? – everyone would say – You simply can’t do it without ruining either quality of the food or sustainability of your practices, or most likely, both. Seems pretty obvious, right? Now why supposedly smart people in the UN and whatnot get away with telling us things based on the same question but just with bigger numbers? I don’t know if I can explain it, Leon. It’s something that’s really bending my brain, and has been for the last few years. I guess I am not one to think big farms producing only commodity monocultures are the answer. More people like me, “farming” only about 1/4 of my 5 acres, is AN answer, one with more benefits than not (to the land, to my health, to the health of my family and friends). Sensitivity to what grows best on one’s land is an answer. Around me, here in the fruit belt, we SHOULD be growing fruit and not corn, but every year acres of our orchards get pulled up and plowed under, replaced by commodity crops (corn, soya) only because there aren’t enough people who will willingly harvest apples, or peaches, or grapes. Sure I suppose a growing population would mean more people would be willing to pick an apple or two, but in reality that doesn’t happen, so low prices for cherries and high premiums for insuring your 10-acre orchard means it’s more worthwhile for you to cut ’em down and plow ’em up. The needs of your neighbors be damned. Ever since I paid $40 for a few pounds of seed potatoes, I’ve been going down to our local health food store and they give me free whatever spuds (all organic) they’re about to toss. My only problem with winter squash is finding enough space to let them sprawl. I may actually build a squash patch out in the field so they can do their thing in peace. Those beet and carrot shots are inspiring. El, I’m not questioning your answer (as I completely agree with that). I just think that the question (We need to feed 10 billion – how do we do it?) is a trick question and it’s intentionally framed this way because that’s beyond convenient for a whole range of powerful interests, from Monsanto to dictators in Africa to politicians in the US to … you name it. You have 5 acres. Let’s say you can sustainably feed 4 people from it. No fertilizer, no miracle, nothing will allow you to feed 40, right? With chemical fertilizer and a a tractor you probably can feed 15 for a while until fertility of your soil is exhausted but generally this law of nature is about as unbendable as the gravity – every piece of land (or water) has certain carrying capacity that can’t be indefinitely increased. That’s true about your parcel and it’s also true about all parcels on the Earth combined. So, when I hear “by year X, our planet will need to feed Y billion people”, I hear “by year X, we will need to cancel the gravity”. And the second sentence is usually “that’s why we need more fertilizer” or “more corn” or something like that – how convenient! Once again – sorry for concentrating on this tiny part. I did read the whole post and I liked it a lot. Fantastic memory you’ve got there, Brett, right down to the Gallic shrug. Indeed one can do quite well on potatoes, can’t one. I certainly rarely tire of them. But you’re right, if equity really were a goal, we’d all have our slice of land, or maybe at least a commons on which to graze ourselves. Who knows. We all need to learn to garden, and that’s not a bad fate at all. Oh yeah David greens are wonderful and can certainly ease the monotony of one’s daily carbohydrates. I am of the opinion that raw things like salad are vital for one’s overall physical well-being; can’t just live on cooked microbially dead food. Paula, I have clay soil too and grow scads of the things. They certainly don’t want to burrow in to the clay, and always seem to surface themselves so I tend to plant them shallow and then bury them with stuff (dirt, mulch) continuously. It’s a bit of a drag but it works. And yeah, I am familiar with Ms Deppe’s book but haven’t read it. I scare myself enough just doing what I do. And there’s a world of different kind of winter squash out there, some should come with Eat Me Now warnings on them…! Diana, and versatile, let’s not forget that! I still have some whopper squash downstairs that needs eatin’. Gotta nudge myself now that it’s getting warmer. And yeah, my true sentiments rarely make it into the blog…gotta consider it a family show. Hiya Dennis. I am of the opinion that good ideas should get around, early. Yeah it’s plenty easy to get spuds at the grocery, and squash are space hogs, but dang they’re cheap to grow. I think beans just take some getting used to, as far as making them a part of the overall routine. I seem to put nearly as many beans as potatoes into our daily rotation. I make a lot of bean pastes too (spreads, basically, like hummus only w/o the chickpeas) and am not above a lentil loaf…! Oh Karen, indeed, I have a friend here who saves time by planting potatoes in November. Frankly I think that’s nuts (spuds don’t take long to plant) but it IS always surprising, seeing them sprout where you *know* you combed through that section. Frankly, those oversight potatoes become my earlies, my new potatoes, and I am eager to see them sprout. Mike, insane, huh? Sometimes things get really big if you let them. And luckily on those carrots in the greenhouse, their cores are just fine…they’re not like bones. 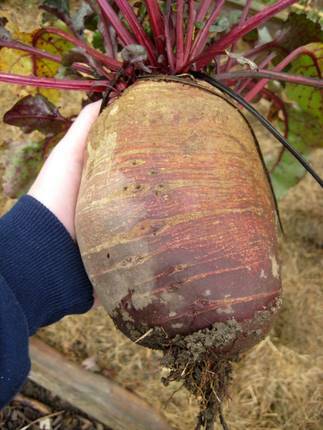 And I know you love beets, saw your post today…that’s a new variety to me. Might have to hit you up for some seeds! Randi! Coming out of hibernation, I see! You especially should plant things in hills of poo. Why not. Actually it will really help with the squash and the tomatoes to have a little more heat in their cold spring beds. I found I was able to start and harvest my zucchini crop before the squash bugs hit because I planted them in poop hills really early. Then, I waited for the squash bugs to die, then planted my 2nd crop, harvested in Sept.
Leon, I certainly didn’t think you were hijacking anything. Sometimes numbers are numbers and they don’t have much of a story to tell. Sometimes, people tell stories with numbers, and considering how illiterate we are in numbers (do we know how big 1 billion is, even, much less 9) it is quite easy for anyone to bend them to suit their own agenda. Without a doubt, we won’t be growing corn to put into our gas tanks in the future as we won’t be able to afford it, and it was a dumb and wasteful idea to begin with. Prosperity does breed a lot of silliness in the form of bad ideas along with a lot of people. And we’re all a bubble, a blip, unless we get smart about the way we grow things and do things, period. Me, I will plant more potatoes. Peter, can you keep the field down at all? Meaning, once the squash starts growing (and it will) can you keep the grass from taking over? That’d always been my problem when I first planted my pumpkins on Mont Merde, couldn’t get up there to mow (and couldn’t till because it was after all our septic mound). So. Plan B for you would be to plant them on your new berm, levee, what have you, that’s gonna keep the crick from overtaking your garden again. Or, do both. Squash is good as you well know. I pay a quick visit each day some sites and information sites to read posts, but this weblog provides feature based articles.